What started like a normal market day Friday at Kampepuza Trading Centre in Traditional Authority (TA) Champiti in Ntcheu ended in a tragedy following a road accident involving a truck that killed 19 people and left 25 others injured. 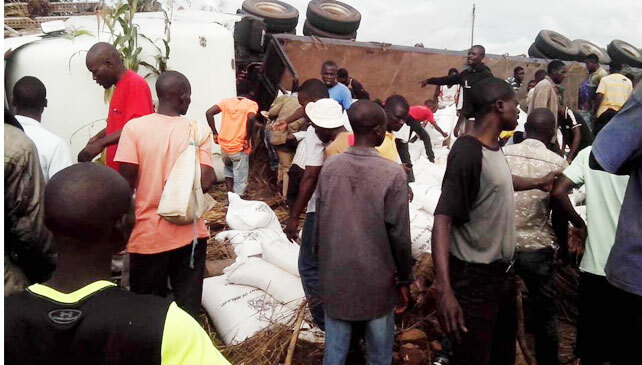 Ntcheu Police Public Relations Officer Hastings Chigalu said the truck, registration number CA 1152, carried maize from Lilongwe heading to Balaka and rammed into vehicles and people at the trading centre. “It started hitting minibuses that were parked along the road at the market. It then lost direction and started sweeping people who were plying their trade for a distance of about 15 metres. This left 19 people dead while others sustained injuries,” Chigalu said. Of the 19 who have died, four are children and 13 are women. As we went to press, police had arrested the driver of the truck Kiyuson Chimkango, 62, of Mbele Village, TA Nkoola in Machinga as they were trying to establish the cause of the accident. Meanwhile, government has expressed shock with the loss of life and property and the injuries as a result of the accident. A statement released Friday and signed by Minister of Information Henry Mussa says, through the Department of Disaster Management Affairs (Dodma), government will meet costs for the funerals and medical attention for the injured. Kapempuza Market is just one of the many markets in the country where traders display their merchandise along the road, a development that puts their lives as well as that of their customers at risk of road accidents. However, spokesperson in Ministry of Ministry of Local Government and Rural Development, which has an oversight role of local governments, Muhlabase Mughogho could not comment when asked if government is regulating marketers that are trading along the busy roads across the country. In 2018, Malawi Police Service reported that road traffic accidents in the country sharply increased by 35 out of every 100. The accidents jumped to 4,879 cases compared to 3,626 recorded in 2017. World Health Organisation (WHO) estimates that 20 road traffic collisions occur every day in Malawi, two of which are fatal and two result in serious injuries. It further says 1,000 people are killed in road traffic crashes in Malawi every year. WHO says road safety is a major problem in Malawi, requiring solutions at several fronts: development and implementation of a national strategic plan, strengthening the capacity of institutions, improving data collection and dissemination, implementing measures targeted at specific groups at risk such as children and incorporating safety into road designs and development. Meanwhile, there was tension at Ntcheu District Hospital Mortuary as both government and people believed to be UTM members provided coffins for Kampepuza tradegy victims. 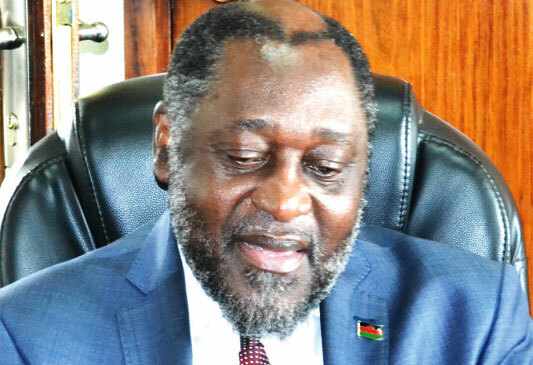 A source who confided in Malawi News said, while officials from Dodma were in a meeting with officials from Ntcheu District Council and police, they got a report that some people have brought coffins for the victims. “The authorities went to the hospital’s mortuary and told the other party that brought the coffins to go back with the coffins as government is taking full responsibility of any arrangement. The two sides reached a consensus and the coffins that are used are provided by Dodma,” the source said. UTM publicity secretary Joseph Chidanti Malunga asked for time to verity if any member of the party brought coffins to support the bereaved families.